Last Thursday, promoter Yvon Michel held a press conference at Casino Lac Leamy in Gatineau to announce a December 23 card featuring Artur Beterbiev and Custio Clayton. Both fighters are rising stars in the Groupe Yvon Michel (GYM) promotional company and world class talents. The conference drew a respectable media contingent, the majority of which came from Quebec, with a lone English representative from CTV Ottawa. It was a short, efficient undertaking, after which Michel, Clayton and Beterbiev were made available to the media. The access granted to the boxing media is always somewhat surreal. Without having to traverse a cumbersome checkpoint or fight through a scrum, reporters had complete access to these men, each of whom is or will be a serious player in the sport. Elsewhere in the casino, glossy-eyed seniors pulled slot levers, oblivious to the serious business being undertaken in their midst. It is encouraging that a card of this quality will be happening in Gatineau, and unfortunate that so many people across the river in Ottawa are ignorant of it. The English press is apathetic in its boxing coverage, and for many sports fans, who would be interested if only they knew it was taking place, the event will pass unnoticed. 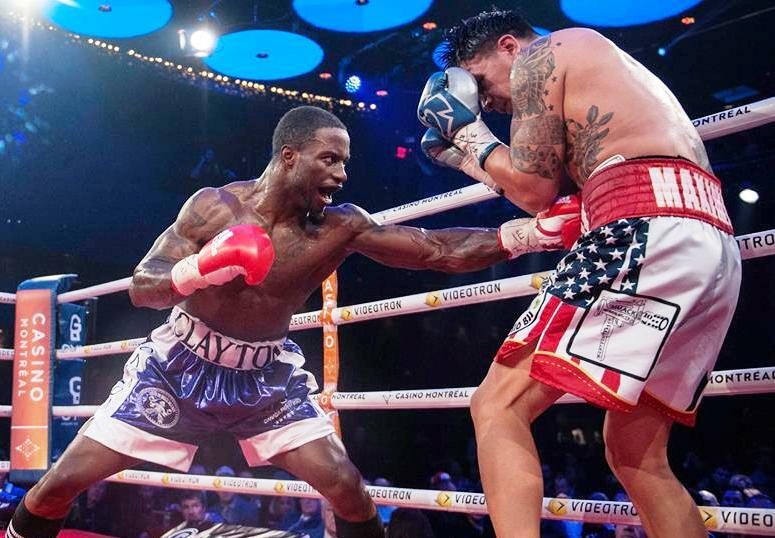 Custio Clayton is already Canada’s best welterweight. This is symptomatic of how boxing is treated everywhere in Canada except for Quebec. 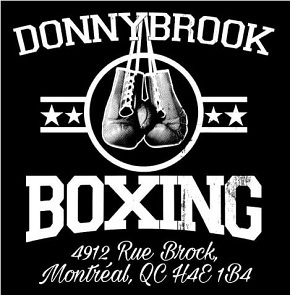 Talented fighters and knowledgeable fans come from every province in the country, and one can watch professional boxing in other Canadian cities with surprising regularity, but nowhere has world class prizefighting been institutionalized to the extent it has in Quebec (and more specifically Montreal, where the majority of elite fighters train, and where most high profile fights are held). The reasons for this are manifold and fit for a more anthropological discussion, but when foreigners refer to “Canada’s thriving fight tradition” it would be more appropriate if the noun in this phrase be replaced with something more specific. 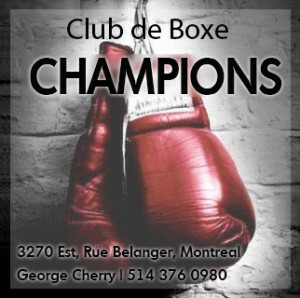 It is especially vital the scene resonate outside of the province because there are five boxers in Montreal today who have the potential for stardom. Under the GYM banner, Beterbiev, Clayton, and 21-year-old super middleweight Erik Bazinyan have the talent necessary to challenge for supremacy in their divisions. 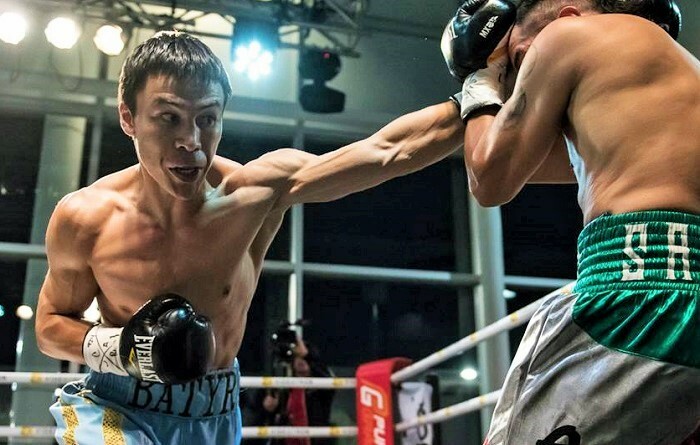 Rival promotional company Eye of the Tiger boasts junior middleweight Steven Butler and super lightweight Batyr Jukembayev, both of whom should fight for world titles. After these five there are several other strong prospects, notably Eleider Alvarez and Oscar Rivas. 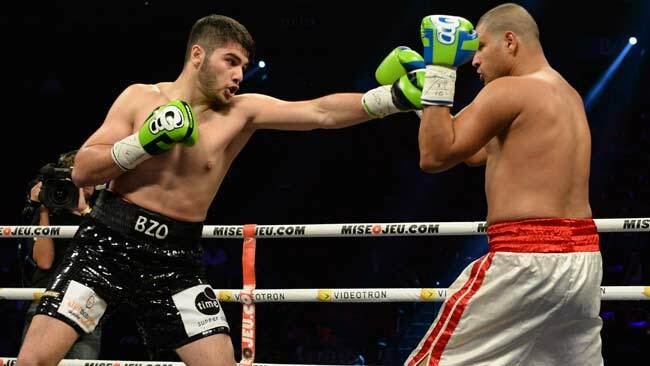 Young Erik Bazinyan has fluid hands and impeccable timing. Michel plans to stage Canadian events outside of Quebec, and understands there are English fans starving for nourishment. Beyond mounting shows in Ontario, British Columbia, and elsewhere, how should the Montreal scene be marketed? A fantastic way of introducing this talent to an English audience would be showing a documentary or television show on national sports broadcasters TSN or Sportsnet, from which fans could form personal attachments to the fighters through exposure to their stories. Of course, this requires money, which is never in long supply. The sport’s largest coffer has been wasted on the bloated Premier Boxing Champions, and Al Haymon has little to show for his project to revitalize boxing. Where marketing is concerned, perhaps PBC is most useful as an instructional guide of what not to do. The program’s elemental failure was that it existed solely to present professional boxing without offering an overarching narrative. With no unified system in place, in which a boxer’s fortunes in the PBC climaxed in a title shot, fans had little reason to justify their investment in it. Present discussions of Premier Boxing Champions are more likely to focus on Haymon’s opaque business practices rather than its fights. Steven Butler, right, has the talent and charisma to be a star. To return, then, to the Montreal scene and how it can be packaged, it seems that local promoters might be wise to market the milieu precisely as what it is: a made-in-Montreal scene, replete with the same cultural idiosyncrasies captured in the ‘About’ section of this website. In a boxing sense, this might harken back to the blood-and-guts style that has long been the city’s hallmark, popularized by men like Yvon Durelle, the Hiltons, and Arturo Gatti. But while fans still adore action fighters, this identity is not as pronounced today, given the scene’s skillful evolution, and it will be the promoters’ task of synthesizing the past with the present. There are three points of emphasis that should comprise its presentation. The first is the city’s wealth of talent and its future promise. Montreal is home to at least five fighters who may become stars, and the exceptionalism of this generation must be communicated to fans. The second is the city’s reputation as a destination for foreign boxers, who see it as a place from where they can launch successful careers. 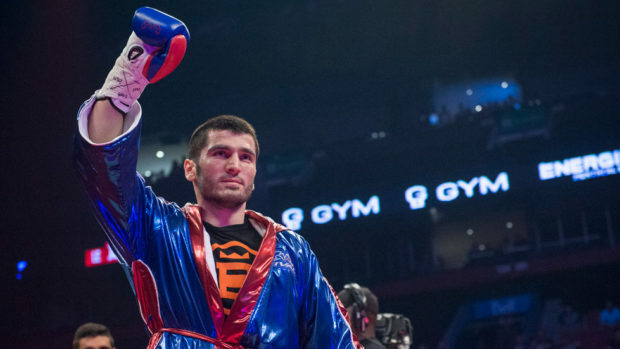 After the press conference Beterbiev said that he was happy with his decision to come to Montreal, and Yvon Michel spoke of current negotiations to bring in several more fighters. 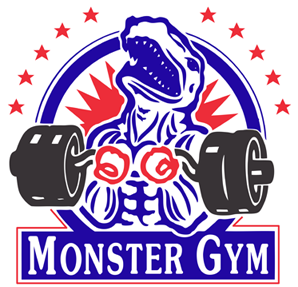 Two recent additions to the GYM stable are the young Bredicean brothers of Florida, who Michel will steer as part of an alliance he’s formed with Rixa Promotions, a local upstart (Bazinyan, also a Rixa fighter, is being promoted under the same arrangement). Reiterating the desirability of Montreal for ambitious foreigners strengthens its prestige, particularly in an era when top Canadian athletes gravitate towards hockey and football. Jukembayev is a well-schooled, hard-hitting junior welterweight. The third point forms the bedrock of the marketing plan: it is the promulgation of Montreal fight culture. Michel’s commentary here is apt, because it should be the promoters’ task to capture the spirit he invokes and make it a centerpiece of the promotion. While fans may become invested in individual fighters, their commitment to the scene will be deeper and more lasting if they can connect with the soul that gives it life. How can promoters accomplish this? By working the city and province’s identity into the promotion, irrespective of where the fights are being held. The suggestion is not to present the milieu as a punchy extension of Québécois nationalism, but to celebrate its entertainment premium on action and showmanship. While the fighters give fans a legitimate reason to take interest, the city of Montreal—whose mythological embrace of swaggering individualism is perfectly suited to boxing—is a referent that situates the sport within a cultural tradition people will find appealing, regardless of their origins. Given the ascendancy of local fighters, it would behoove the city’s promotional companies to stage more intra-city bouts. Though it disappointed as an event, the interest in Lucian Bute vs Jean Pascal proved there is a vast appetite to see homegrown stars face one another. As they grow into themselves, who wouldn’t want to see Custio Clayton fight Steven Butler? The recent ascendancy of British boxing is due in no small part to the large domestic matches they stage. To the extent that it can, Montreal should do the same. For any marketing project to resonate, customers must see truth in what’s being sold. The Montreal scene is a singular entity, born of a culture that worships winners, and it should be presented in a way that’s historically faithful. If it is, promoters won’t alienate English fans with its exoticism but draw them in. As the city enters what might be its greatest era of professional boxing, it’s essential those in control get it the greatest possible exposure. Exciting things are set to happen in Montreal; hopefully they’ll find an audience beyond Quebec’s borders.